Life is full of disappointments, wounds and hurts. The Bible tells us there is an enemy, an evil one, who steals and kills and destroys. Paul taught us that our battle is not against flesh and blood but the evil one who is fueling the darkness. Jesus identified this enemy as Satan who is as real as you and me. We are in war! An Invisible war…but a real one, nonetheless. The good news is that “greater is He who is in us than he who is in the world.”. We are reminded in Colossians 2:15 that Jesus triumphed over this evil one through the cross. It’s time we learn about the war and how to live in the victory won for us. 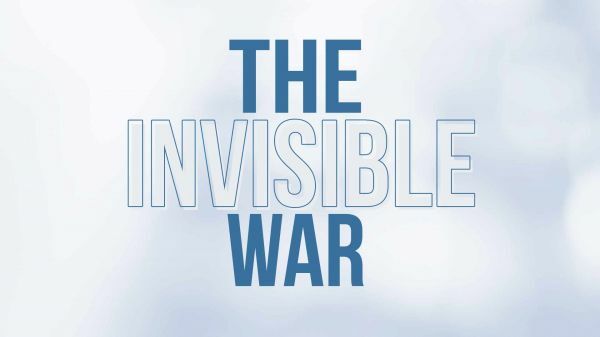 On Sunday, October 7, join us in our new series, The Invisible War. Life is full of disappointments, wounds and hurts. The Bible tells us there is an enemy, an evil one, who steals and kills and destroys. Paul taught us that our battle is not against flesh and blood but the evil one who is fueling the darkness. Jesus identified this enemy as Satan who is as real as you and me. We are in war! An Invisible war…but a real one, nonetheless. The good news is that “greater is He who is in us than he who is in the world.”. We are reminded in Colossians 2:15 that Jesus triumphed over this evil one through the cross. It’s time we learn about the war and how to live in the victory won for us. From Series: "The Invisible War"
More From "The Invisible War"